Collar necklaces fits tightly around the neck. They can be made out of one or multiple layers or strands. Collars look great on a long, slender neck. A choker lays just above the collarbone and is a versatile length. Chokers will complement just about any size neckline but make sure that the width of your choker is appropriate to the length of your neck. A very wide choker will only exaggerate a short neck. The princess necklace hangs over the collarbones. It is the perfect choice if you are not certain which length is most suitable for an occasion. 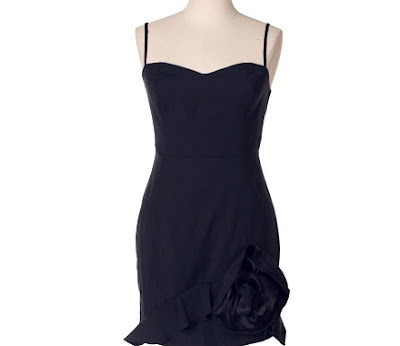 It is also best suited for high necklines as well as low plunging necklines. The matinee necklace generally falls to the top of one’s bust. 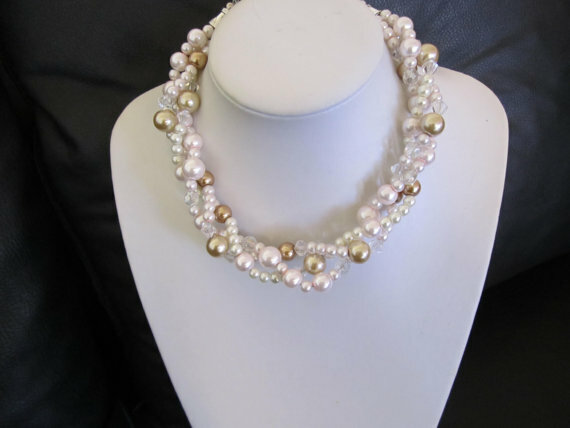 A matinee pearl necklace is an ideal choice for a chic professional look. A necklace with some length, 20 inches or longer, can draw the eye away from the chin and neck area to create a leaner appearance. The opera necklace hangs over the bustline and has many different options. 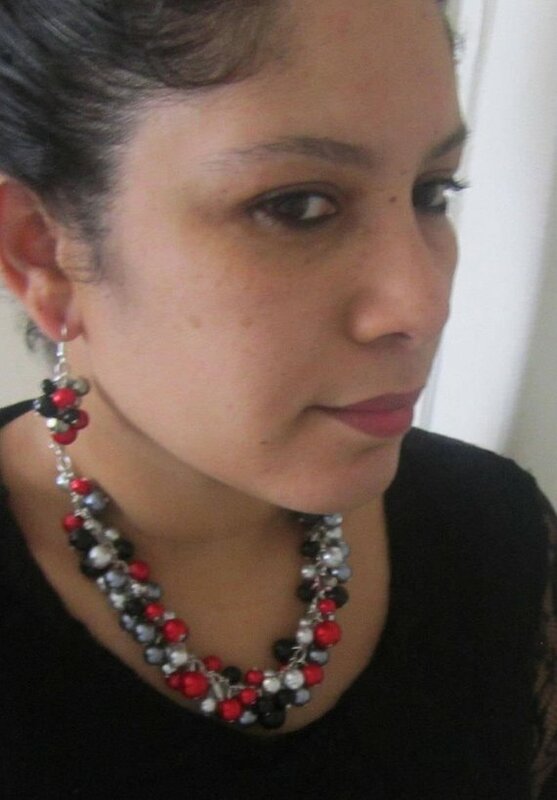 It can be worn as a single strand or multi-layered. It can also be knotted at the neckline or above the bustline to create a stylish look. A rope necklace can be worn hanging close to the navel or doubled as a 2 strand necklace. Lariats are another type of long-length necklace and it suits all body shapes and every neckline you can imagine. A lariat is a very long variation of the rope, also without a clasp, often wrapped around multiple times around the neck. It is like a scarf, the ends can be crossed over, looped, or knotted in various ways. 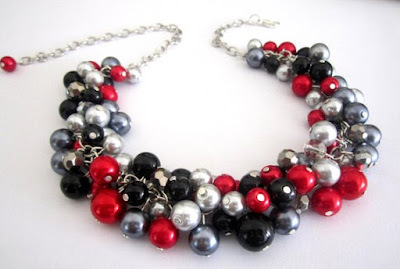 The type of necklace to wear also depends on which clothing you are wearing. 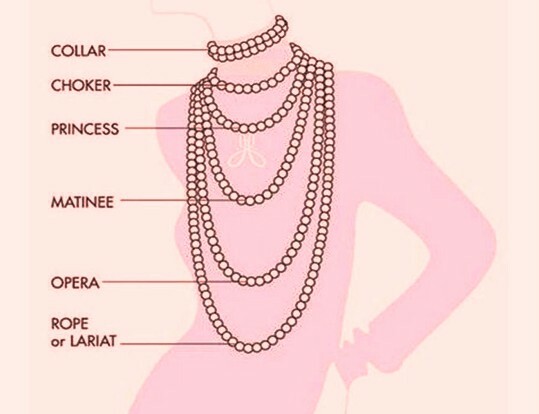 Here’s some help with which length necklace works best with your neckline. Please keep in mind that it’s not a hard and fast rule, you can get away with a lot depending on the look that you’re after. 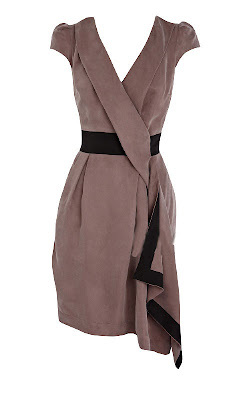 This is an extremely versatile neckline. Keep the length under 19" so you don't crowd the neckline. Perfect choices are the collar, choker and princess necklace. A sweetheart neckline may or may not be strapless but the same rules apply when choosing a necklace. Perfect choices are the choker, princess and knotted lariat necklace. A low or wide halter allows for a necklace but if the halter is high and narrow or comes to a point at your throat, rather go without a necklace. Perfect choices are a Y-drop necklace, short pendant necklace and lariat necklace. A necklace with a curving shape is a perfect way to soften the square lines of this neckline. Perfect choices are the choker and princess necklace. A necklace that imitates the lines of the v-neck would be a great choice. If it is cut rather high, look for more delicate designs so that you don't crowd the neckline. If it is cut rather low, a single stone or pearl will do the trick. Perfect choices are a Y-drop, a short pendant necklace or knotted lariat. This is a versatile neckline and almost any style necklace will be flattering. Perfect choices are a choker, princess, Y-drop, short pendant necklace and a knotted lariat. Long stranded necklaces look great with polo/turtle necks. Pendants with long chains, lariats, ropes and opera necklaces are all perfect choices. 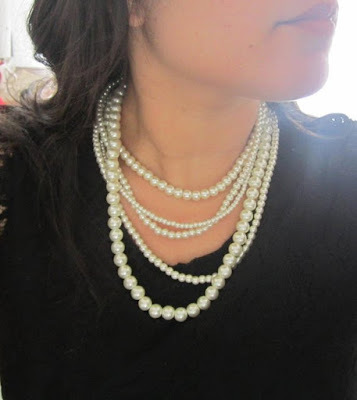 If you have a round face or short neck it's best to stay away from shorter necklaces. 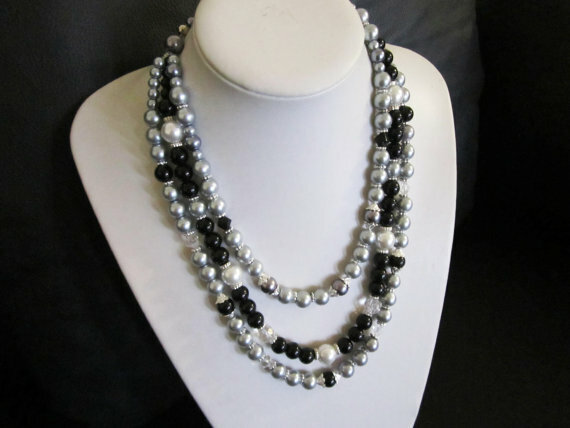 Long necklaces draw the eyes down and lengthens the body, making you look taller, slimmer and more elegant. If you want to avoid drawing attention to your cleavage, don’t wear necklaces that end there or draw the eye down to your bust. Wear shorter necklaces that fall on your chest above your cleavage. 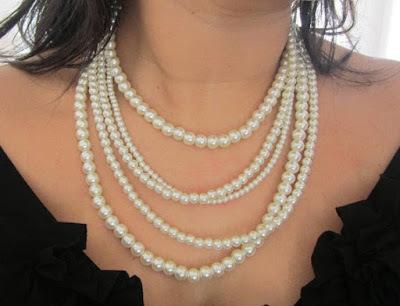 A v-neck sweater, blouse or dress all looks great with pearls, a single stone necklace or cluster pearl necklace. Find a necklace that stays above the v-neck to keep all eyes up on the face. Lower necklines are to be accessorized with higher necklaces.